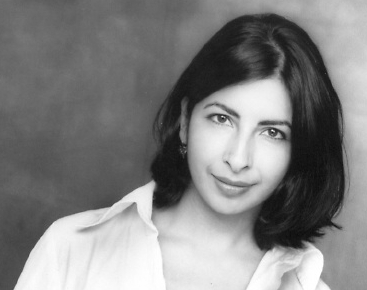 Aditi Brennan Kapil is a playwright, actress, and director, of Bulgarian and Indian descent, raised in Sweden, and currently residing in Minneapolis, MN. She is a graduate of Macalester College with a BA in English and Dramatic Arts. Her play, Love Person, a four part love story in Sanskrit, ASL and English, has been produced to critical acclaim around the country. It was developed during a Many Voices residency at the Playwrights’ Center, work-shopped at the Lark Play Development Center in NY, and selected for reading at the National New Play Network (NNPN) conference 2006. Love Person was produced in a NNPN rolling world premiere at Mixed Blood Theatre (MN), Marin Theater (CA), and Phoenix Theatre (IN), in the 2007/08 season. In 2008/09 it was produced at Live Girls! Theatre in Seattle, Alley Repertory Theatre in Boise, and Victory Gardens Theatre in Chicago. Love Person received the Stavis Playwriting Award in 2009. Her current work, Agnes Under The Big Top, a tall tale, was selected as a ‘2009 Distinguished New Play Development Project’ by the NEA New Play Development Program hosted by Arena Stage, and was developed at the Lark Play Development Center (NY), Mixed Blood Theatre (MN), InterAct Theatre (PA), the Playwrights’ Center (MN), and the Rhodope International Theater Laboratory (Bulgaria). Agnes Under The Big Top is slated to premiere at Mixed Blood Theatre and Long Wharf Theatre (CT) in 2011, and Borderlands Theater (AZ) in 2012. Aditi’s playwriting credits include a number of plays for youth, among them The Deaf Duckling a bilingual (ASL & English) educational touring show about growing up Deaf, created in collaboration with Deaf performer Nic Zapko for Mixed Blood Theater, The Adventures of Hanuman, King of the Monkeys, a Bollywood style musical inspired by tales from the Ramayana, and Hanuman and the Girl Prince a play in iambic verse inspired by an episode in the Mahabharata, for SteppingStone Theatre for Youth. She has also scripted several productions for In the Heart of the Beast Puppet and Mask Theater, notably Gotama a play about the early life of the Buddha, and Beneath the Surface, a water circus. Messy Utopia which she directed, and co-wrote with Seema Sueko, Velina Hasu-Houston, Janet Allard, and Naomi Iizuka, for Mixed Blood Theatre received an Ivey Award, and #6 in the City Pages Best of the Twin Cities 2007. Aditi is a Resident Artist at Mixed Blood Theatre, and a Core Writer at The Playwrights’ Center (Minneapolis). The circus comes to town in Aditi Brennan Kapil’s new play, a funny and powerful adventure imagining the intersecting lives of immigrants in a U.S. city. Selected as a NEA Distinguished New Play Development Project as part of the NEA New Play Development Program, hosted by Arena Stage. The play was developed through a consortium led by The Lark Play Development Center (New York City) and includes Rhodopi International Theatre Lab (Smolyan, Bulgaria), Interact Theatre (Philadelphia), and Mixed Blood Theatre Company (Minneapolis). Agnes Under the Big Top is slated to premiere in a National New Play Network Rolling World Premiere at Mixed Blood Theatre in Minneapolis (Feb 2011), Long Wharf Theatre in New Haven (March 2011), and Borderlands Theatre in Tucson (Jan 2012). A play for youth in iambic verse. Adapted loosely from a brief incident in the Mahabharata, and the dance drama ‘Chitrangada’ by Rabindranath Tagore. Commissioned by SteppingStone Theater for Youth Development. Slated for production in Fall 2009. One of 5 short plays about the biracial experience, created in collaboration with Velina Hasu-Houston, Naomi Iizuka, Seema Sueko, and Janet Allard. A Bollywood-style musical re-telling of the central story in the Ramayana from the perspective of Hanuman the mischievous monkey. Recipient of Cultural Community Partnership Grant, MN State Arts Board. Work-shop: PlayLabs 2004 at Playwrights’ Center, MN. 10-minute play commissioned by Thirst Theater, Produced Spring 2006.